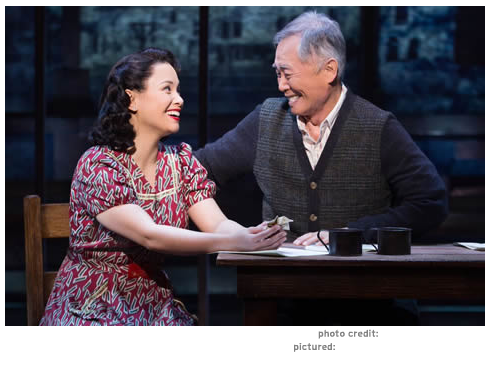 "'Allegiance' is an important show with a phenomenal cast, and it deserves to be seen." "It must be said that the production values of director Stafford Arima's production are quite high. The design of the show is highly stylized, but in a meaningful way." "This is a musical? You bet, and a darned passionate one, too. 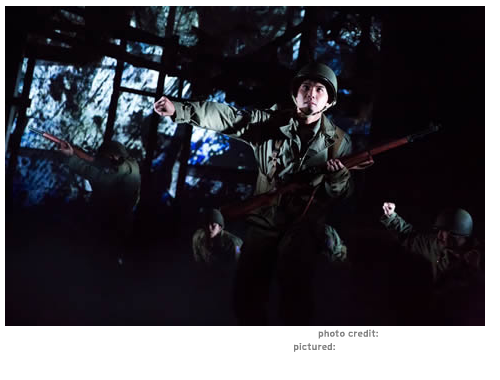 The carefully researched book by Marc Acito, Lorenzo Thione and Jay Kuo, who also supplied the soaring music and intelligent lyrics, collates years of events into a gripping trajectory, while the stirring score perfectly illustrates the action, seamlessly staged by director Stafford Arima." 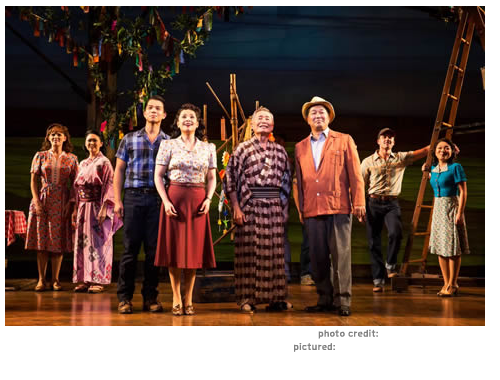 "Stafford Arima...has done as well by 'Allegiance,' adroitly packing all manner of complex action onto the Longacre Theatre..."
"Under Stafford Arima's brisk direction, the cast - including Takei and Tony winner Lea Salonga - is topnotch. The show hits its mark in terms of storytelling and characterization, with enough emotional connection to be engaging and occasionally moving. And while the evening is serious, it's neither solemn or humorless." "It's a triumph of a rare sort, shedding light in a dark corner of our history with uncommon generosity of spirit." 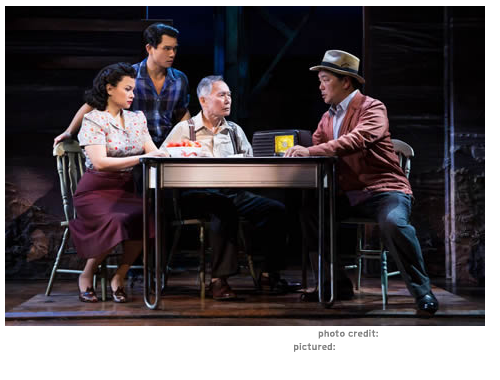 "*** (out of four stars) ...director Stafford Arima culls potent performances from his actors..."
"'Allegiance is the rare WWII-era piece of drama that actually feels fresh and necessary. 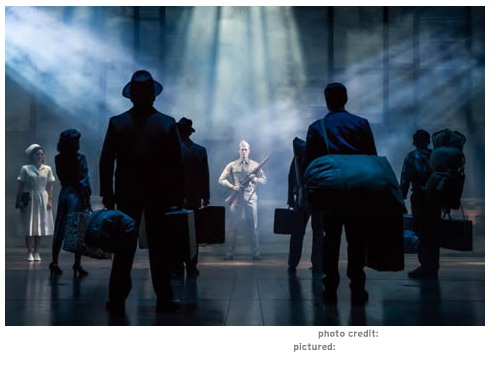 A family splintering as they decide how to react to the internment -- should you play along and hope for the best, or refuse to capitulate and resist? -- is not a story that's been done to death, and 'Allegaince' deftly handles the high emotions and conflicting schools of thought." "'Allegiance' is...a poignant and well-crafted story, with a title that operates on multiple levels." 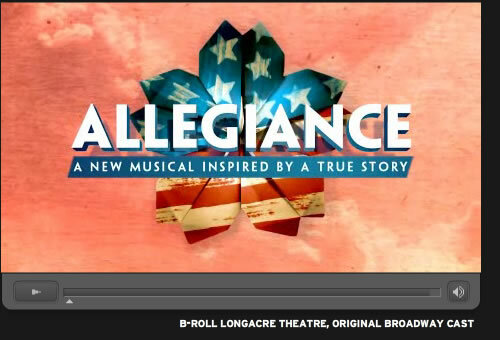 "'Allegiance' gracefully shapes dramatic and historical contours into an epic that - in the spirit of gaman - coaxes a fierce beauty from once-poisoned soil." 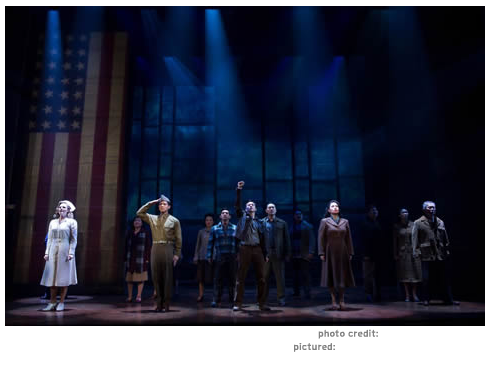 "There is a lot of pain in 'Allegiance,' but - thankfully - director Stafford Arima does a brilliant job of not making the show too dark and of finding the beauty in the bleak. The way he represents the bombing of Hiroshima is so inspired! His formations and choices are to be strongly lauded."